Oil tanker piracy equal to 1/4 of Saudi daily output ! Somali pirates have hijacked the MV Sirius Star, the largest oil tanker yet to be seized by gangs operating off the off the Horn of Africa. The Saturday assault occurred 450 miles (724 km) southeast of Mogadishu, Somalia, in the Indian Ocean, according to the International Maritime Bureau. 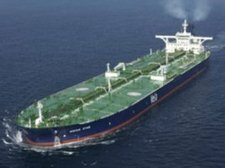 One of the world’s largest oil tankers and owned by Aramco, the Sirius Star is 1,800 feet long, or about the length of an aircraft carrier, and can carry about 2m barrels of oil. Last week, pirates hijacked three chemical tankers off the Horn of Africa and freed another. On Sunday pirates freed the Hong Kong-flagged Stolt Valor and its crew after a $1.1m (€880,000) ransom was paid, according to Reuters. Odfjell, one of the largest shipping groups in the world, responded to the attack by suspending its routes through the Gulf of Aden in favour of the longer journey around the Cape of Good Hope at the tip of South Africa, raising the prospect that one of the world’s busiest trade routes could be sidelined unless global action is taken to combat the pirate menace. 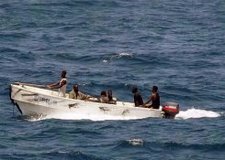 There have been 77 attacks on vessels in the Gulf of Aden this year, with 31 hijacked, according to the International Maritime Bureau, which monitors piracy. Efthimios Mitropoulos, secretary general of the International Maritime Organisation described the crisis in the region – the gateway to the Suez Canal – as among the most severe facing the world. West Texas Intermediate, the US benchmark for oil prices, rose $1.40 to $58.44 a barrel in early trading. Brent, the European benchmark, climbed to $55.33, up $1.10 on Monday 17th November. Russ November 18th, 2008| 3 comments - be the next!|Tags: Energy - Fuel. This blog is meant to restrict itself to all things electric, but I can’t help but comment on the polarising debate that is going on in the UK leisure boat sector with regard to red diesel. For the sake of foreign readers there is a very low rate of tax on diesel for marine users in the UK which makes it about 40% cheaper than the same diesel being sold to car owners. 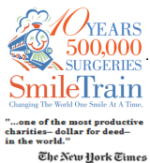 The origins of this benefit are not clear but it is believed that it goes back to the 1930â€™s post war years. Some people have attributed the concession to Winston Churchill who, it is said, gave a tax concession on fuel to UK boat owners as a thank you for their participation during the D-Day landings. In December 2006 the European Commission turned down the UK’s request for an extension to its derogation from the Energy Products Directive. This meant that UK boaters could no longer buy low-tax diesel. Currently, derogations in the Council Directive 2003/96/EC allow five countries, including Belgium, Ireland, Finland, and Malta and the United Kingdom, to charge reduced rates of excise duty on red diesel, applying only to private leisure. From 1 January 2007, each litre of fuel used for leisure has to carry the minimum rate of EU duty of 21ppl. Annual research undertaken by BMF/RYA/Sunsail shows that more than four million people participate in leisure boating and related water sports in the UK. Boating makes a significant contribution to tourism in all regions and employs approximately 30,000 people – mainly from SMEs. The RYA and the British Marine Federation are supportive of the fuel retailers position, and also have lobbied for a system of “self regulation” by leisure boat owners. The fuel retailers and marina owners say that the ending of low-duty on red diesel will devastate motor boating in Britain. Suppliers in rural and remote areas have already said that they would not sell red diesel because they do not want to be burdened with the cost and bureaucracy involved in recording every sale to private recreational craft. I personally dont understand this since they already record every sale – that’s the law and also its good accounting practice ! Under a system of self regulation, recreational boaters would continue to purchase red diesel at the rebated rate, but would declare and pay the additional duty periodically. The RYA has also urged Government to look seriously at reducing the rate of duty payable by recreational boaters on red diesel to the lowest possible rate, ideally the EU minimum rate. The proposal at present is that red diesel would be taxed at the full, road fuel rate of duty – 54.68 pence per litre. This would probably get the retail price to approach the current road price of Â£1 per litre. Ancasta, the yacht broking company, have compiled data on the useage of the fuel made by sailors and motorboat users. 1. The average motor boat engine has 60 hours use per annum. 2. An average 38 ft twin engined motorboat runs on full speed at 45 litres per engine, using 90 litres per hour for both engines. 3. If red diesel duty is doubled, and with VAT included, the added cost for an average use (60 hours per year) is Â£2,601 for a motor boat and itâ€™s about Â£216 for a sailboat per annum. 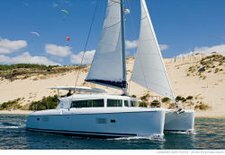 Ancasta dont view this extra annual cost as being significant for those owning or about to purchase their new boat. Fishermen and other commercial users will continue to use red diesel at its existing tax of 6.44p, so they are not directly affected other than by the possible reduction in retail outlets. Russ December 16th, 2007| One comment so far - be the next!|Tags: Energy.